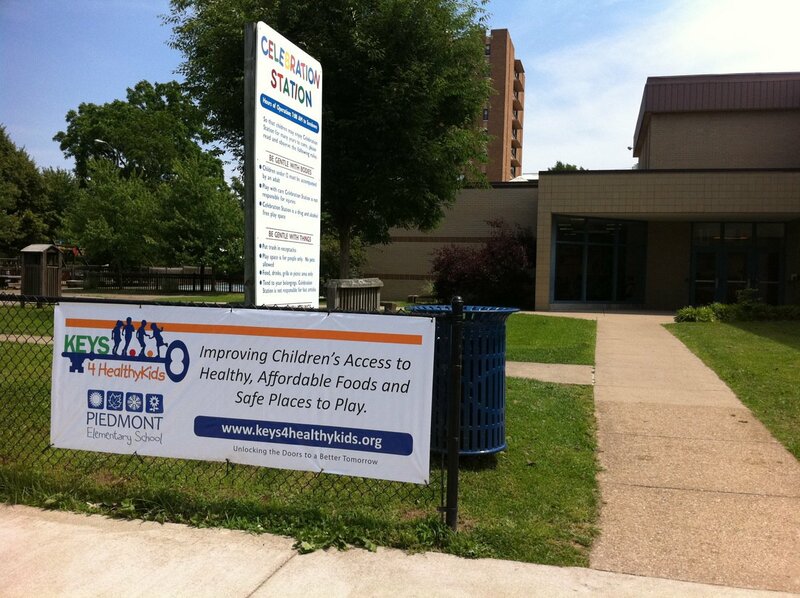 BBCG created this 3' x 8' banner to promote the partnership between client KEYS 4 HealthyKids and Piedmont Elementary School, located in Charleston's historic East End District. It's strategically placed at the crossroads of the playground and the school's cafeteria. The purpose of KEYS is similar to that of First Lady Michelle Obama's Let's Move! initiative, which works to combat childhood obesity by promoting physical activity, healthy eating and getting informed. In addition to the logo and the banner above, BBCG also designed KEYS 4 HealthyKids-themed signs for local community centers and community gardens, as well as decals for various physical activity sites throughout the city of Charleston. We're proud to be a part of this critical campaign. Visit KEYS 4 HealthyKids on Facebook, and be sure to "Like" them while you're there.